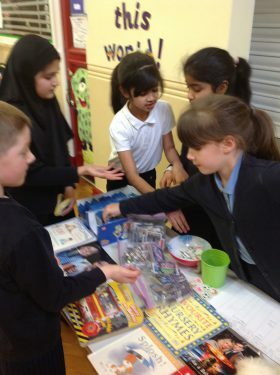 This week Scarlett, Alishba, Lexi and Nameera have held their own toy sale to raise funds for school. 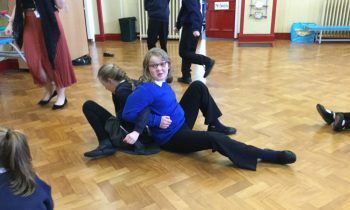 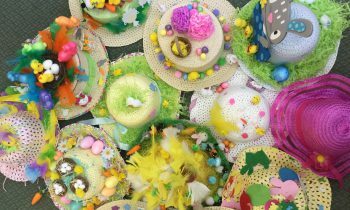 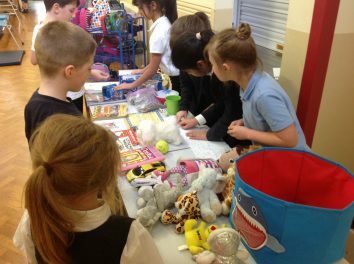 Having come up with the idea they then planned the event, made advertising leaflets, collected toys to sell – all completely independently. 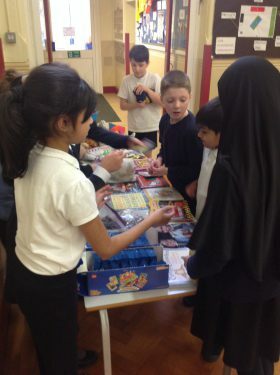 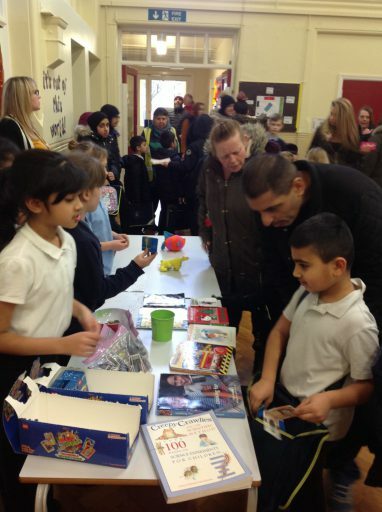 On Wednesday and Thursday afternoons this week they then set their stall up in the hall selling most of the toys and books they had collected. 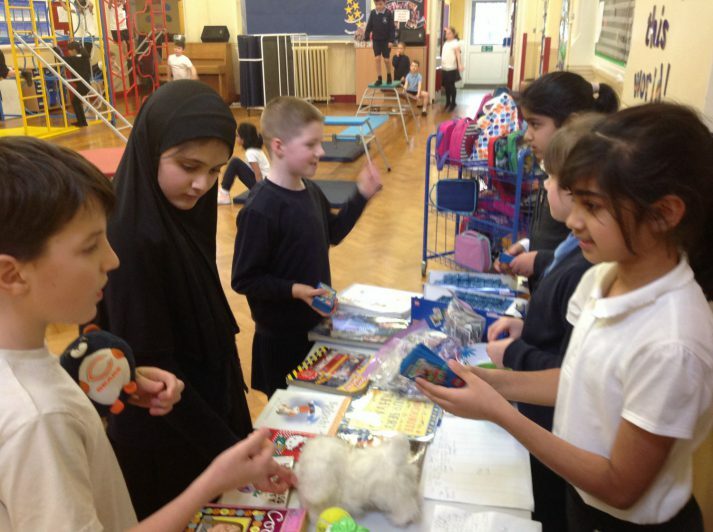 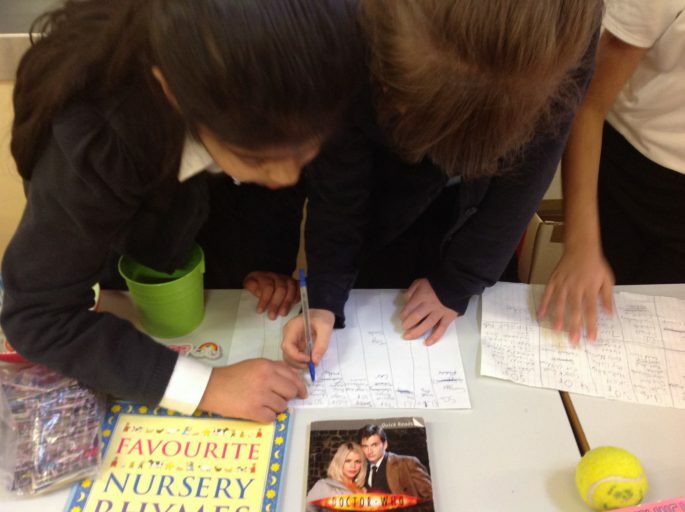 Their organisation and sales skills were great; they even had their own inventory of goods crossing them off as they sold them! 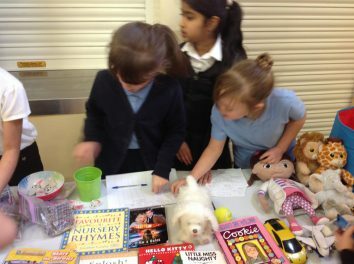 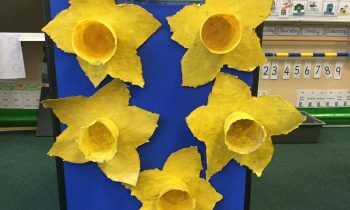 They also demonstrated good maths and literacy skills. 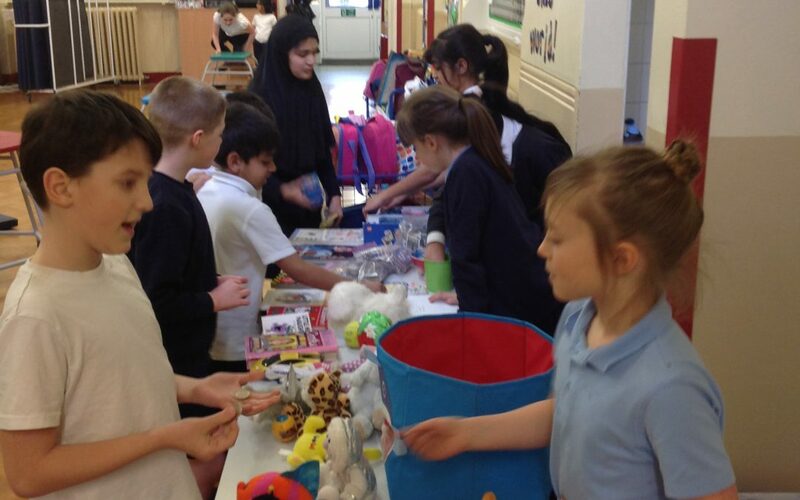 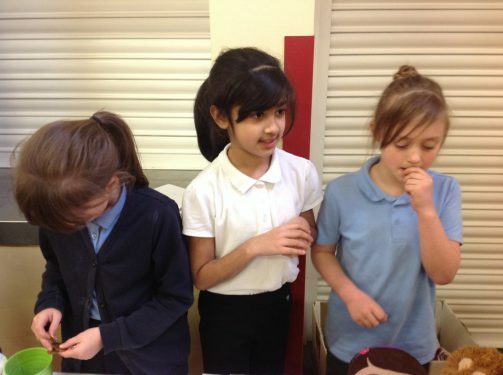 In total they raised £39.81 and are now deciding what to spend the money on.